Based in Larkana, Sind Province, Pakistan, Pireh Male Health Society (Pireh) has been in operation since the beginning of 2012. 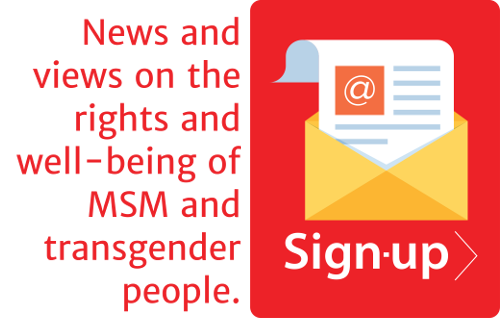 More than 14,000 MSM and almost 2,500 transgender people have been beneficiaries of different services offered by the organisation, such as BCC, STI diagnosis and syndromic management, distribution of condoms and water-based lubricants, VCT services, awareness on HIV, STI and other social services. Pireh has developed strong partnerships with the Provincial AIDS Control Programme, other NGOs, institutions, national and provincial levels organization. Pireh envisions a Pakistani society where all people can live with dignity, self-respect, social justice and wellbeing. In achieving that, Pireh strives for the advancement of the social and health needs of marginalized males by supporting the development of community-led health and social interventions along with advocating for social justice, equity, health and well-being. Pireh is currently one of the national recipients of Multi-country South Asia Global Fund HIV Programme (MSA), in which APCOM acts the grant’s regional sub recipient. Comprising of 14 full-time staffs, Pireh works on reducing stigma and discrimination, human rights and empowerment for the MSM and transgender community, including providing outreach services on daily basis through a field team, establishing drop-in centre for registration, referrals for different health services, awareness sessions, event celebration facilities, social services and skills classes for the community, and developing and maintaining a transgender welfare board in Sindh Province. To contact Pireh, reach out to Programme Manager Wajid Ali at wajid.ali@pireh.org.pk or their office at 1733//88 Ghalib Nagar near Bright Model school Larkana, Sindh, Pakistan.